Training, Research, Education - Tree Solutions Inc. Principal Scott D. Baker is an experienced public speaker and educator in tree diagnostics, construction, and urban forest issues. 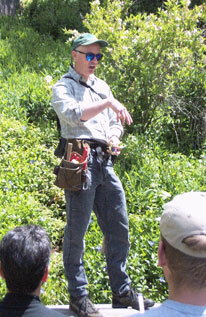 Scott has made over 70 presentations over the last decade, including TRAQ instruction for arborists. He has several standard presentations and workshops that can be adapted to any audience, from high school classes to municipal landscape crews. Please contact us for a list of current workshops and classes we offer.